Whether you're on the prowl for a new place or not, sometimes it can be entertaining to peek at an upmarket real estate listing to see what kind of residences people with some serious cash can afford. So what exactly does the upper-end of Cary's rental market look like today -- and what top-notch amenities might someone get, given these astronomical prices? We scoured local listings in Cary via rental website Zumper to locate the city's most extravagant listings. Starting things off with a statement, turn your attention to this single-family home located at 113 Legault Drive. It has four bedrooms and three bathrooms, and it's a sprawling 3,600 square feet in size. 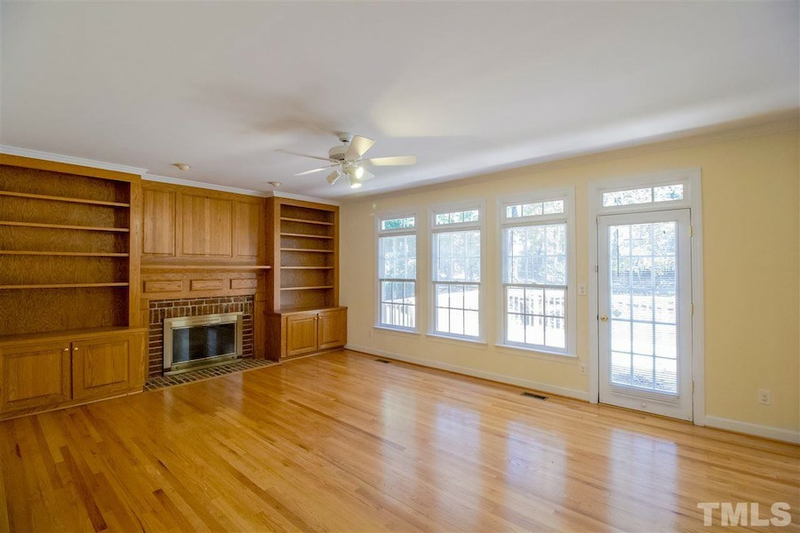 Whereas the average price for a four-bedroom rental in Cary is approximately $1,925/month, this living space is currently listed at $3,195/month. What, exactly, makes it so high-priced? The building comes with garage parking, secured entry and outdoor space. In the unit, you can expect hardwood, tile and carpet flooring, high ceilings, large closets, a bathroom with a separate shower and tub, recessed lighting, a gourmet kitchen, a breakfast island and a fireplace. As snazzy as this set-up might appear, pets aren't admissible. Per Walk Score ratings, this location is car-dependent, is bikeable and has some transit options. Next, check out this single-family home over at 422 Knotts Valley Lane. It has three bedrooms and three bathrooms, and it's a sprawling 2,516 square feet in size. Whereas the average price for a three-bedroom rental in Cary is roughly $1,600/month, this home is currently priced at $2,300/month. The building comes with garage parking, secured entry and outdoor space. In the single-family home, you can anticipate hardwood and carpet flooring, built-in-storage space, a four seasons room, a gourmet kitchen, high ceilings, ceiling fans, a dishwasher, in-unit laundry, a walk-in closet, a fireplace and garden access. Animal lovers, rejoice: Both cats and dogs are permitted in this palatial house. According to Walk Score, the surrounding area requires a car for most errands, has minimal bike infrastructure and doesn't offer many public transit options. Finally, here's this townhouse situated at 320 View Drive. It has two bedrooms and two bathrooms, and it encompasses 1,837 square feet. Whereas the average price for a two-bedroom rental in Cary is approximately $1,225/month, this spot is currently listed at $1,650/month. Why so costly? The building comes with garage parking, secured entry and outdoor space. In the unit, you can anticipate hardwood and carpet flooring, recessed lighting, stainless steel appliances, quartz countertops, a breakfast island, many windows, large closets, a master bedroom, high ceilings and ceiling fans. Living in this top-of-the-line home is a human-only thing: cats and dogs are not welcome. According to Walk Score, the area around this address is moderately walkable, isn't particularly bikeable and has minimal transit options.